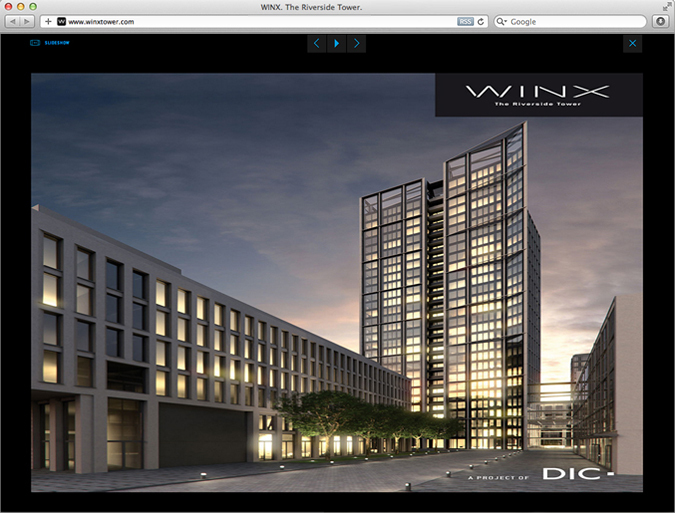 Situated right on the banks of the river Main, the 110 metres high WINX Tower with its distinctive design is the gateway to Frankfurt’s city. Due to its modern architecture and premium facilities the office tower is absolutely unique among Frankfurt’s high-rise buildings. The project was realized in collaboration with Nordisk Büro, an owner-managed creative agency founded in 1996. 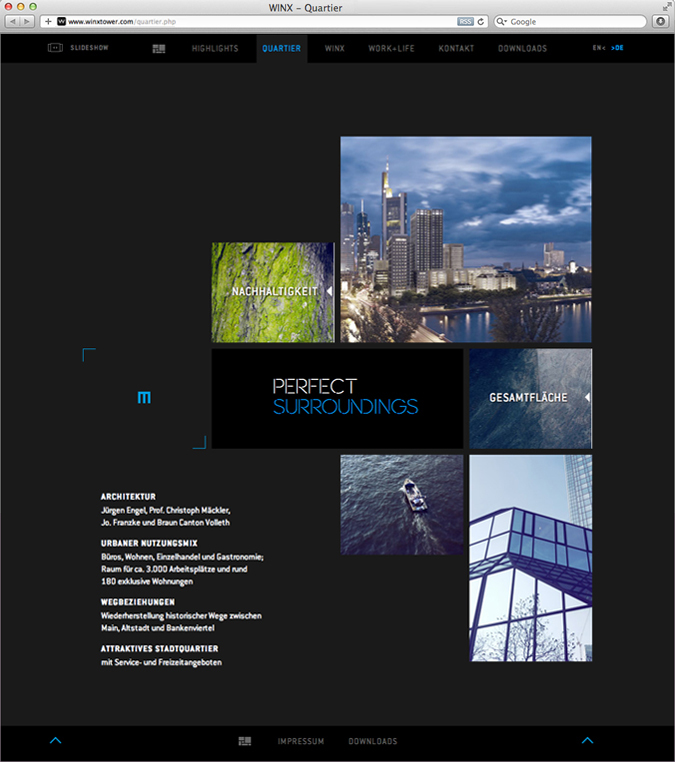 Frankfurt develops spectacular high-rise buildings; ARTUS interactive develops the perfect Internet presence for them. 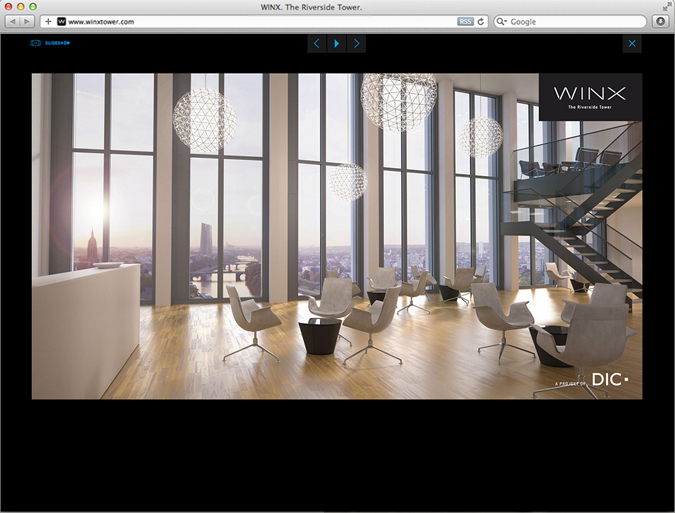 The modern WINX Tower is a business place with premium office space in a prime location right on the Main river banks. So the website must deliver a similarly premium performance. 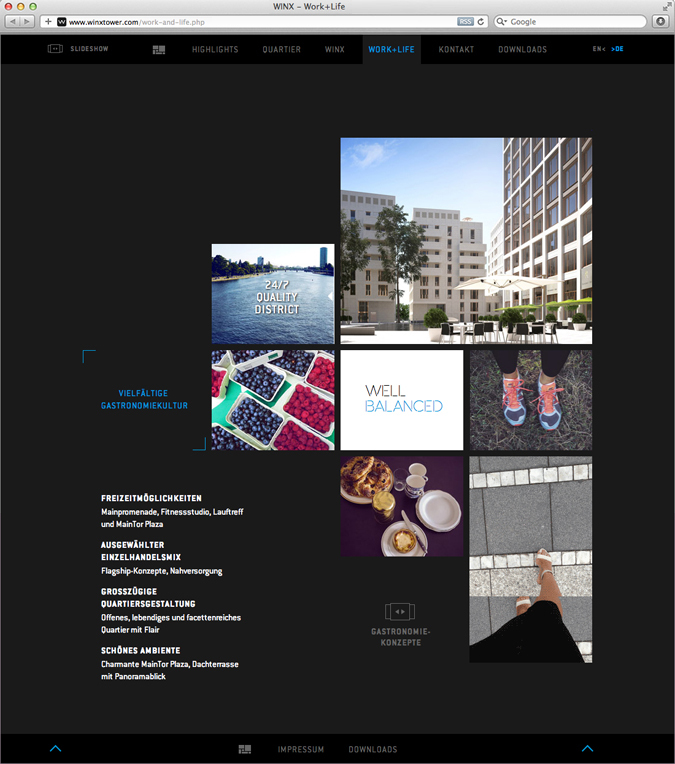 Following a concept developed by Nordisk Büro ARTUS interactive created the sophisticated web presence to give potential tenants and friends of smart websites something to look and marvel at.